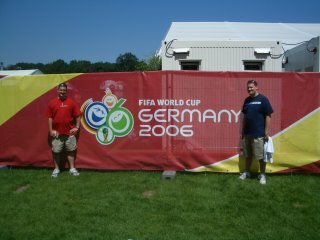 From June 11-17, 2006, Doug and I spent one unforgettable week in Germany, taking in the world's greatest sporting spectacle- the World Cup. 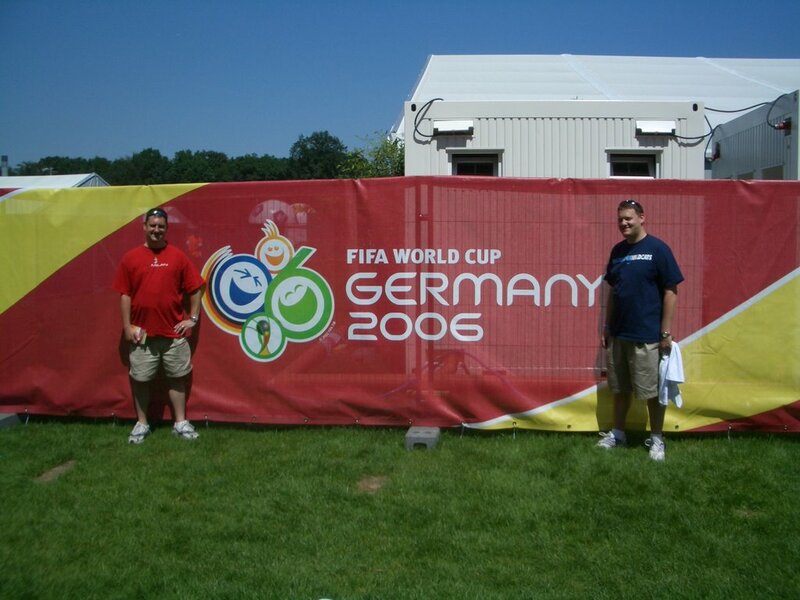 Thousands of people from all across the world came to Germany to celebrate their countries, their teams, and the game of soccer, and we were lucky enough to be two of them. We hope you enjoy this collection of memories, photos and anecdotes from our trip. Please feel free to share them with family, friends and fellow fans. While it is difficult to put in to words how incredible the experience was, hopefully this scrapbook will give you a good taste. I re-arranged this site to make it a little more reader-friendly, so, although it's a blog, the stories are in chronological order from top to bottom.